The opening show of the 2012 Costa Rica National Dog Championship, known as the “Copa INBIO Parque” (INBIO Parque Cup) got underway on 28th and 29th January this year, with dogs entered from different parts of the world, and five expert judges. This major event has now been held in the country for eight consecutive years, and the project is coordinated by the Asociación Canófila Costarricense and the Instituto INBIO Parque, an institute working on biodiversity. This year the Corporación RPM TV also attended the international event and, to coincide with the international event, put on various dog-related activities at Costa Rica’s national stadium, an important part of which was the finals of the International Show. 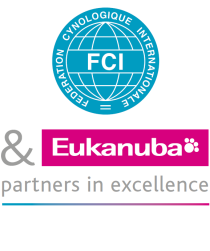 In front of an audience of approximately ten thousand people in the national stadium, the judges Mr Rafael de Santiago, Vice-chairman of the FCI, and Dr Alberth Méndez, Director of the ACC, had the job of choosing the best dogs in the show. Mr William R. Umanha, Chairman of the A.C.C., who was organising the activities, pointed out that his organisation’s strategy for the success of its events (in terms of entries, audience and coverage in the country’s main communication media) is based on two things: firstly forming alliances with other organisations so that they attract a good audience and proper logistical planning of its activities and secondly, promoting the organisation's activities by hiring a professional public relations and marketing company. Mr Rafael de Santiago said that he was pleased both with the way that the event had gone and with its logistics, because of the quality of the dogs and the large number of breeds taking part, and he made it clear “that the job of the judges is to look at all the dogs in the arena and choose the best specimen which the exhibitor can then use to cross and perfect the breed”.